Bigfoot News | Bigfoot Lunch Club: New York Times has High Regard for Christophers Munch's Bigfoot Movie, "Letters From the Big Man"
New York Times has High Regard for Christophers Munch's Bigfoot Movie, "Letters From the Big Man"
You can read our previous coverage of Letters From The Big Man. We covered this fantastic movie from it's premier at the Sundance Festival to interviewing the genius behind the Sasquatch Costume, Lee Romaire. Not only is Christopher Munch's true-to-life Sasquatch movie the most respectful towards the Sasquatch phenomena, it is also probably one of the most respected Sasquatch movies. How do we know? Read the newest New York Times article below. IN five features over two decades Christopher Munch has cultivated a singular career on the margins of the independent film world. Although his debut, “The Hours and Times” (1991), was grouped with the emerging New Queer Cinema, Mr. Munch, 49, has never fit in with a movement, and it’s hard to think of another working American filmmaker with a similar sensibility or array of interests. If anything, his movies are testaments to private obsession and imagination. From the young engineer who attempts to salvage a Yosemite Valley rail line in “Color of a Brisk and Leaping Day” (1996) to the middle-aged bohemian single mother and former radio D.J. dying of cancer in “The Sleepy Time Gal” (2001), Mr. Munch’s protagonists are all dreamers of a sort. Although his films range widely in their idiosyncratic themes and settings, they are of a piece in their serene melancholy and their loving attention to the unruly details and irreducible dimensions of individual lives. If there is one thing above all that defines Mr. Munch’s work, it is a disarming sincerity, a willingness to risk awkwardness and even absurdity by taking seriously an outlandish premise. Imagining the lost weekend John Lennon spent with the Beatles manager Brian Epstein in Barcelona, Spain, “The Hours and Times” is at once tactful and assured in its conjectures. “Harry and Max” (2004) treats with almost surreal matter-of-factness the relationship between two incestuous brothers who both happen to be in boy bands. 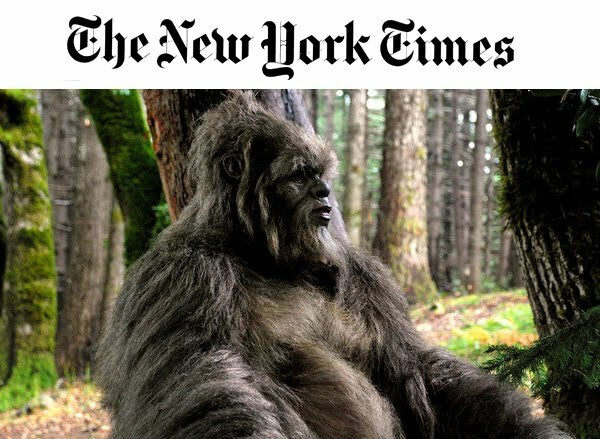 Mr. Munch’s wholehearted commitment to eccentric material has never been clearer than in his new film, “Letters From the Big Man,” a parable about man and nature in the form of a beauty-and-the-beast tale, involving a forestry worker (Lily Rabe) and a sasquatch (Isaac C. Singleton Jr. in a hairy bodysuit and face makeup). “Letters From the Big Man” started as a broader story that played out against the backdrop of the controversial salvage logging operation that followed a devastating wildfire in 2002. But after trying unsuccessfully to finance the film as a larger project, Mr. Munch narrowed the scope to focus on Ms. Rabe’s character, Sarah, an artist and hydrologist. Getting over a breakup, she takes on an assignment to do field research for the Forest Service on stream life in a burn zone. Even though Mr. Munch had traversed the area extensively on foot for months before shooting, there was only so much planning he could do. His regular cinematographer, Rob Sweeney, said that several locations required fairly long hikes. “Often finding a place to shoot a scene, securing it and getting our crew there, figuring out how to stage and light it — that would all happen in one day,” Mr. Sweeney said. Ms. Rabe, best known for her theater work, described the experience as a lesson in self-sufficiency. They were the smallest of crews in the remotest of settings, and Sarah spends much of her screen time alone. The first day of shooting, Ms. Rabe said, she was dropped from a helicopter in a field while Mr. Sweeney and Mr. Munch observed from afar. “It was a very lonely experience for me, which was exactly right for the part,” she said. The strange magic of “Letters From the Big Man” has much to do with its readiness to believe in the possibility that sasquatch exist. Mr. Munch is prepared to go further and declare himself fully convinced. “I have no question of their existence,” he said. His circle of acquaintances in Oregon includes “people who were in situations where they were living among sasquatch, literally, and had developed a climate of mutual trust,” he said. Before his screening at Sundance in January, Mr. Munch read a letter on behalf of the sasquatch that began: “Do not be frightened of us. We are people just like you.” Reporting from the festival in The New York Times, Manohla Dargis wondered if Mr. Munch “was pulling our collective leg.” He insists he was not (the letter, he said, was procured through an animal communicator). “It’s very easy to write it off as New Age pablum, but that actually is what they keep drilling into us,” he said. Mr. Munch recognizes that such talk opens himself up to dismissal or hostility. Nonetheless, “the ideas of the film are heartfelt, and they’re borne out by personal experience, not based on some unreasoned belief,” he said, adding that he comes from a family of scientists — his father was an astrophysicist — and is not generally prone to mysticism. His own views aside, Mr. Munch said he was careful to make a film “that does work as a metaphorical comment on our society.” The myth of the sasquatch, he added, “represents a longing to make sense of whatever it is that’s incomplete in us” — an urge palpable in all his films. This is one film I do not want to miss. Seems like a thoughtful film.